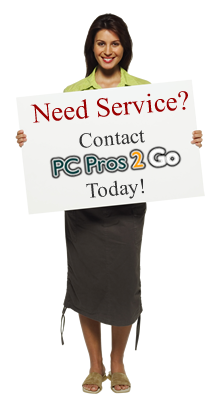 Need to setup a service request with PC Pros 2 Go? Have questions or comments regarding the site or our services? Need one of our pros to evaluate your next potential computer purchase and offer some great computer advice? Then simply fill out the contact form below. And we will gladly answer any questions you have, usually within 24 hours. If you are just leaving a comment or feedback just fill in the name and message field. If you would like us to contact you, be sure to include your email address or phone number. The more information you can provide the better we can assist you. Since 2005, PC Pros 2 Go has been helping the people of Hampton Roads with their computer problems. We look forward to helping your with what ever computer problems you might have.